Many of the globe’s most significant I.T. players have chosen to establish offices in Cebu. All require serviced apartments or extended stay furnished apartments for their people on assignment. Cebu’s burgeoning growth manifests itself in the usual ways, cranes on the skyline and infrastructure failing to keep pace with commercial and residential development. Traffic congestion is extreme. So, don’t be surprised if the ten kilometer journey from the airport to Cebu I.T. Park takes more than an hour at peak times. Further evidence of the city’s growth is the International status of Mactan airport with; Korea, Japan, Honk Kong, Malaysia and Singapore as direct destinations. Cebu accommodation is expensive, but is likely to moderate as more capacity comes on stream. Meanwhile Corporate Apartments International is now offering reasonably priced studio and one-bedroom apartments in Cebu to its corporate clients in both Business Park and I.T. Park. Please consider the properties below or call our helpful customer service department. We have a comprehensive range of long term serviced apartment options for Cebu in the Philippines. Our Cebu serviced apartments are fully furnished, and are ideal for extended stays. Fully furnished studio apartment in the Calyx Center Apartments. Studio with one bed and bathroom and laundry facilities. One bedroom, fully furnished corporate apartment in Calyx Residences. 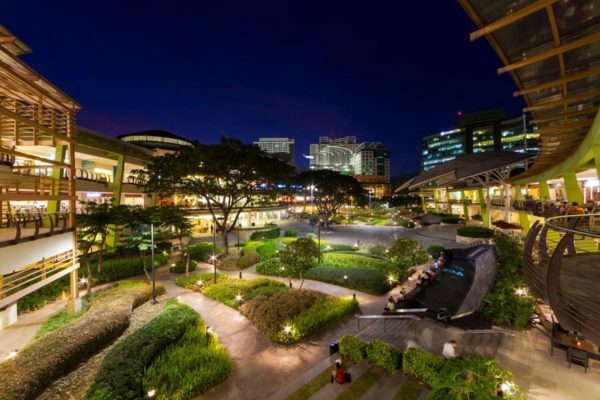 Walking distance to local dining, shopping, entertainment and Cebu Business Park.